Your frames will need to be prepped in order to showcase your DIY wall arrangement at its best. You will only be needing the actual frame itself. Clean each frame before you begin to add embellishments to the border. You can do so by painting over the wood exterior. If you wish to keep your frames as it, you may do so as well. Be sure your chicken wire (bed) is tightly secured by its frame. This will stabilize your wall arrangement and help mount the whole frame to the wall evenly. Pair each flower with its corresponding vase and frame. 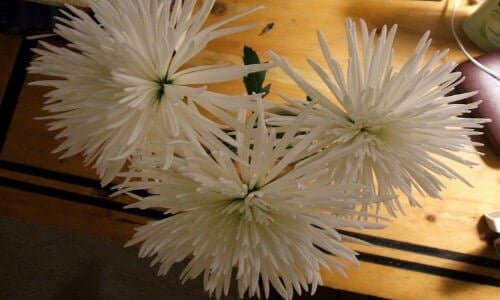 Once you’ve inserted each flower into a vase, take a section of twine and securely wrap it around the neck of the vase and place atop the desired area of the chicken wire. Tightly secure the twine doing a double knot in order to avoid your piece from coming undone. Repeat this step till you’ve hung each frame horizontally on your chicken wire. Keep in mind that if you’re using artificial flowers or plants for this project, choose a type that’ll compliment the rest of the room that you plan on placing them into. Fake flowers never die and do not require water so you’ll never have to worry about tending to your décor or modifying your beautiful roses.